To visit the Fort Branch Community School website click on the link below. The Fort Branch Community School site has links for the student handbook, FBCS contacts, the lunch menu and upcoming activities, as well as HomePlus (allows parents to check students' grades). Also available are links to the FBCS teachers' websites. 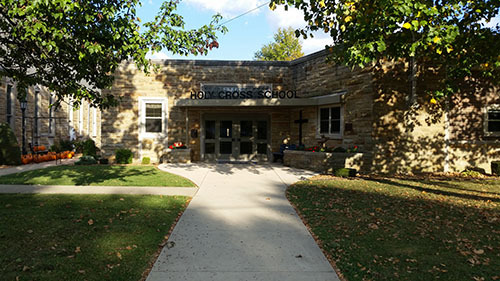 To visit the Holy Cross School page of the Holy Cross Parish website, click on the link below. This will have updates on the school, as well as links to other various branches of the church. To visit the Gibson Southern High School website click the link below. The Gibson Southern site has links to the school activities such as Fifth Quarter, GSHS Theatre, the Titan Booster Club, and FFA. There are also links to the student handbook, a list of courses, upcoming events, and GSHS contacts.